No one is more eager for the next bear market than long-short hedge funds. Long-shorts had a good year in 2017. The HFRI Equity Hedge Total Index — an index of long-short equity hedge funds — returned 13.5 percent last year, its best performance since 2013. But as my Bloomberg View colleague Barry Ritholtz pointed out last week, it wasn’t good enough. The equity hedge index trailed the S&P 500 Index by 8.4 percentage points last year, including dividends. 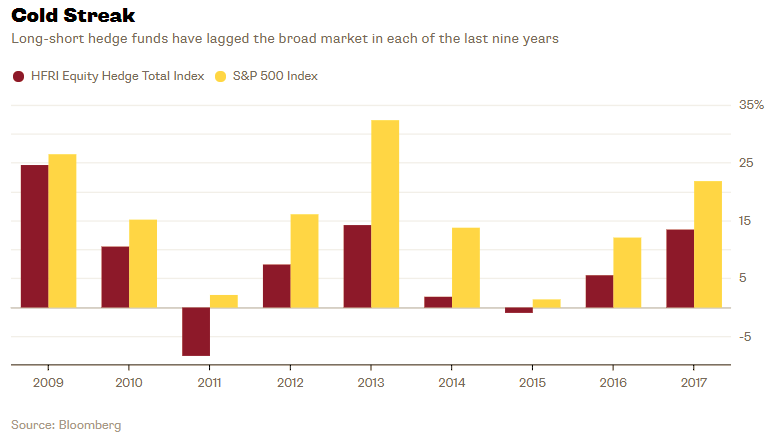 It was the ninth consecutive year that long-short hedge funds trailed the broader market, and the S&P 500 outpaced the equity hedge index by a stunning 8.1 percentage points annually over that period. Still, hedgies remain hopeful. Long-short hedge funds, they say, aren’t designed to keep up with a raging bull market. 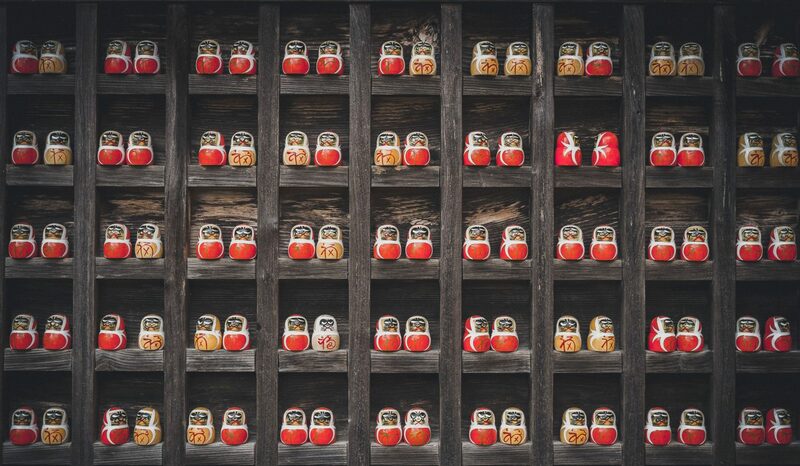 Instead, their ability to short stocks provides shelter during the occasional bear markets and by extension less volatility and higher risk-adjusted returns than the broad market over time. Elite hedge fund managers performed even better. 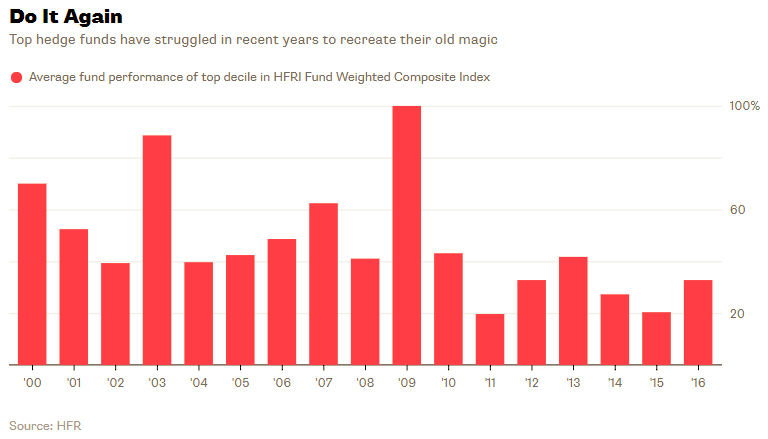 According to HFR, the top decile of hedge funds in the HFRI Fund Weighted Composite Index — an index that tracks a variety of hedge fund strategies — returned an average of 53.8 percent annually from 2000 to 2008, the earliest year for which numbers are available. Investors deified the best among them, and the richly paid gods had little incentive to disabuse investors of their illusions. The market has since opened investors’ eyes. The equity hedge index returned 7.2 percent annually from 2009 to 2017 with a Sharpe Ratio of 0.97, while the S&P 500 returned 15.3 percent with a Sharpe Ratio of 1.13. Elite hedge fund managers aren’t flying as high, either. The top decile of hedge funds in the HFRI Fund Weighted Composite Index returned an average of 29 percent annually from 2011 to 2016, the latest calendar year for which returns are available. That’s nearly half the average return they achieved from 2000 to 2008. And even the gods have returned to earth. Bloomberg News recently reported that David Einhorn’s Greenlight Capital, for example, returned 2 percent in 2017. That follows a decline of 20.2 percent in 2015 and a return of 8.4 percent in 2016, according to publicly available client letters. That translates into a return of negative 4.1 percent annually over the last three years. 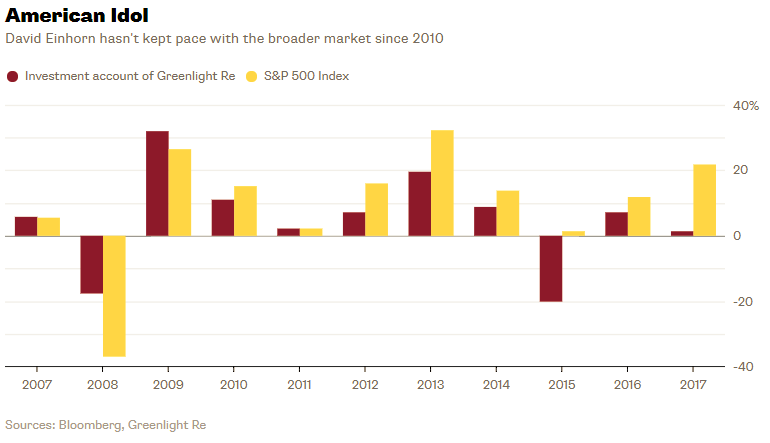 Greenlight doesn’t disclose its performance, so returns for prior years aren’t available. But Einhorn manages the investments of reinsurer Greenlight Re, whose investment results are public. The reinsurer’s investment account returned 4.2 percent annually from 2007 to 2017 with a Sharpe Ratio of 0.24, while the S&P 500 returned 8.2 percent with a Sharpe Ratio of 0.51. The answer is far simpler. Long-shorts delivered their promised protection during the previous two bear markets. When the S&P 500 declined 46 percent from August 2000 to September 2002, the equity hedge index was down just 10 percent. And when the S&P 500 tumbled 53 percent from October 2007 to February 2009, the equity hedge index declined by 31 percent. 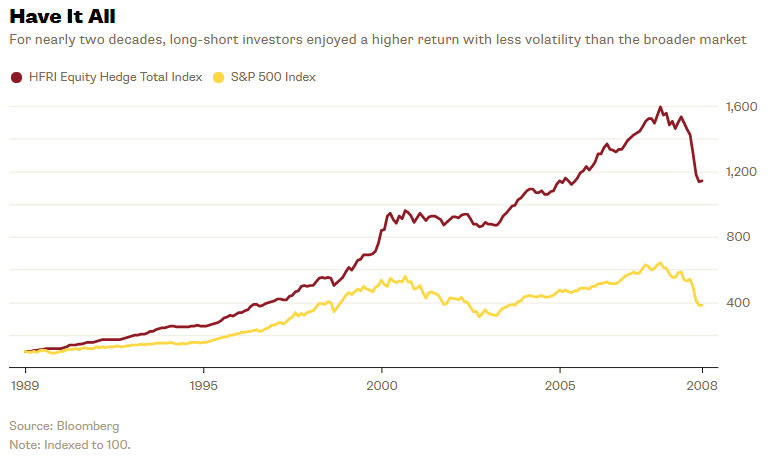 It’s reasonable to expect that long-shorts will shield investors again during the next downturn. But that protection isn’t free, and the cost is lower returns during rising markets. Whatever else may have changed, it’s time to admit that the freakish years when long-short managers and investors had it all aren’t coming back.